Have you heard about MCent Browser? It's a new and latest and first browser that gives free airtime for data and also to make calls, even though some already have the app or have come across it but what is meant for is very far from them. Today you'd going to know how Mcent Browser gives free airtime, we have been using many ohter browser and nothing to show for it, not even a penny as compensation, if I may ask how many time UC Web , Internet Explorer and Mozila have given you bonus of airtime or data, so far so good Mcent Browser has brought about new strategic to win users to itself. Mcent Browser gives point which can be converted to airtime once it is up to 1000 and can be used for data subscriptions at the same time for calls. Mind you it is different from Geopoll or other platform where you have to wait for survey or do any task before you can claim your points. Step 3: Keep using (You can now use as normal browser, visit favourite websites but it should be via Mcent Browser if you want to earn points). Note: You are free to claim your points once it gets to 1000 points minimum or more. 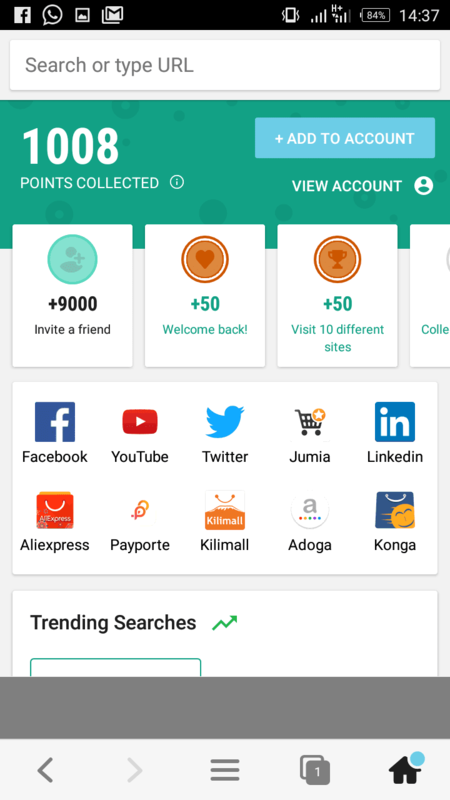 As soon as you noticed your earnings reaching 1000 point then you can add your account. 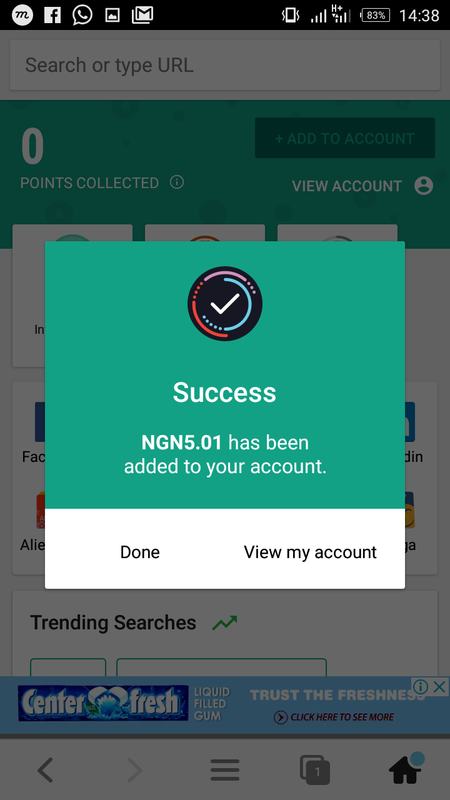 Step 4: Then, tap on “View Account” and cashout to your MTN, Glo, Airtel or 9mobile line. MCent Browser is first ever browser that compensate users , so not right , all you need to do is to download and keep using , nothing like big deal here.